In the midst of summer, it’s always nice to eat something light and healthy that won’t weigh heavy on your stomach in all this heat. Many people opt for quick and easy, but filling recipes, and we have the perfect one to share: Chicken and Cranberry Salad! 1. 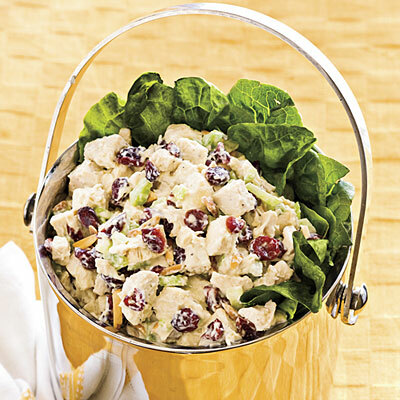 Toss chicken, cranberries, and almonds with dressing. 2. Serve on a mound of chopped lettuce.